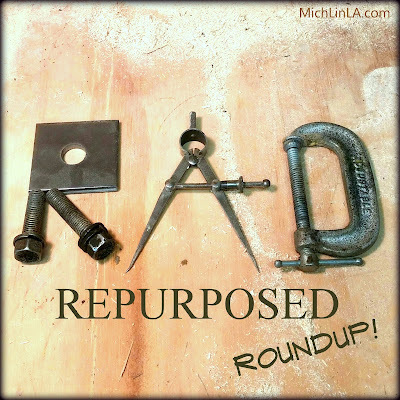 Hey, there's just time for a new Rad Repurposed Roundup. 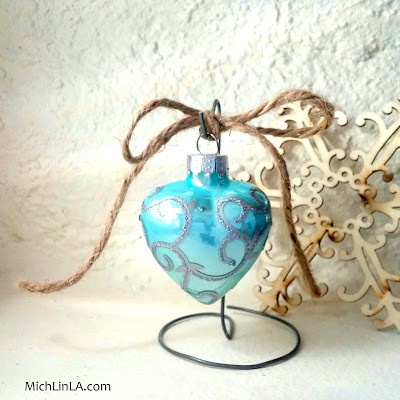 A quick mini-tour of some eco-friendly holiday ideas I have spotted lately. From Betsy at My Salvaged Treasures, these amazing junky trees made from old lamp parts! 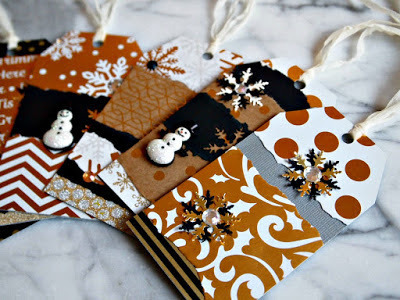 From Carol at The Answer Is Chocolate, this smart idea to make gift tag sets as gifts. 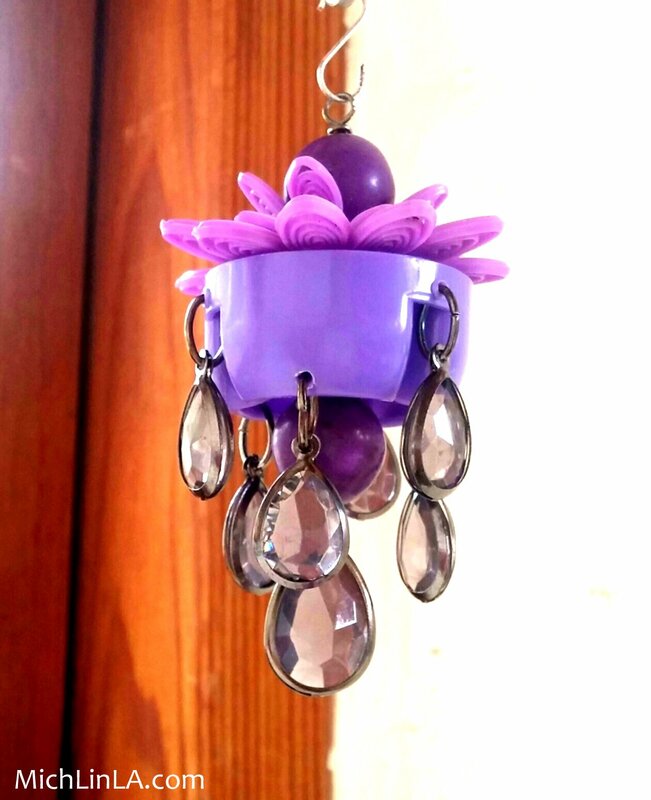 Great for giving to busy people who would not have time to make their own. 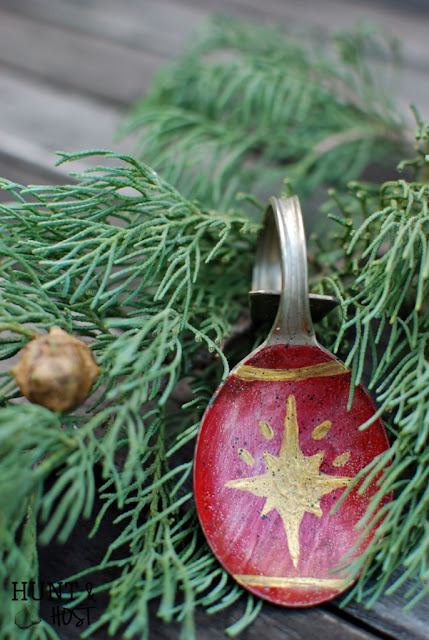 From Kim at Hunt And Host, these hand painted ornaments made from old silver spoons. A very cool way to upcycle vintage flatwear. 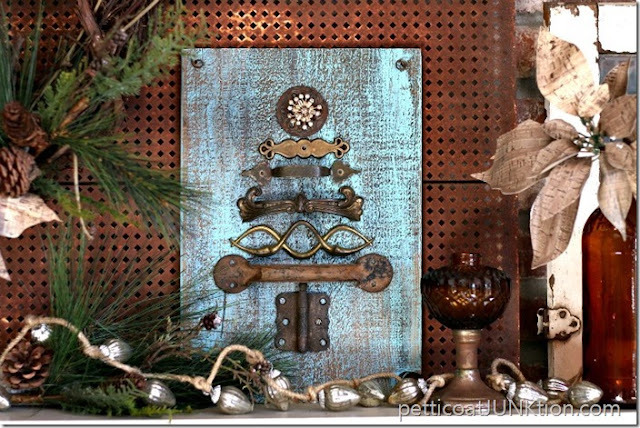 From Kathy at Petticoat JUNKtion, this awesome wall art: a 'sparkle and rust' tree from old hardware! From Amy at Stow and Tell U, another unique wall tree that made me grin. 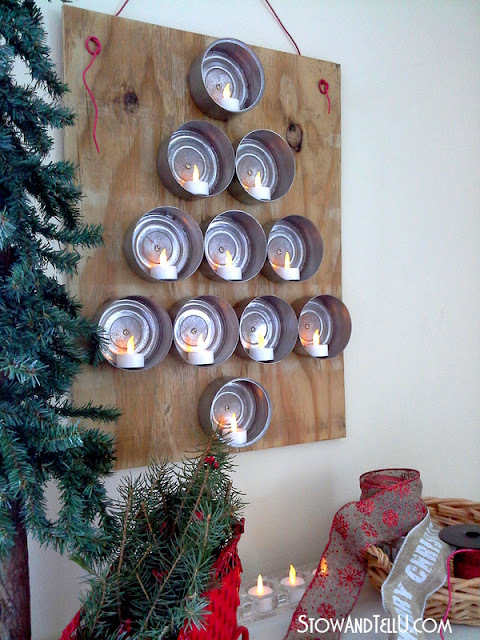 So fun and so green...this rustic lighted tree is made from recycled tuna cans. Aren't people brilliant? Thanks to all these incredible crafters for inspiring me. And to display your special ornaments (demented or otherwise), here's my tute for a rustic little ornament stand you can make in 2 minutes, made from some discarded garden wire and a scrap of twine. Hope you guys enjoyed the roundup - see you again soon, crafty people! Wow, what a fun roundup of repurposed goodies! Love them all, and I thank you oh-so-much for including my junky lamp parts trees. So many cute things!! Thanks so much for stopping by!! I love the Christmas trees that you have showcased - they are indeed RAD!! Wow, pretty roundup with unique ideas & thingies. I really like the tuna can tea lights. Thanks for the round up and Merry Christmas! 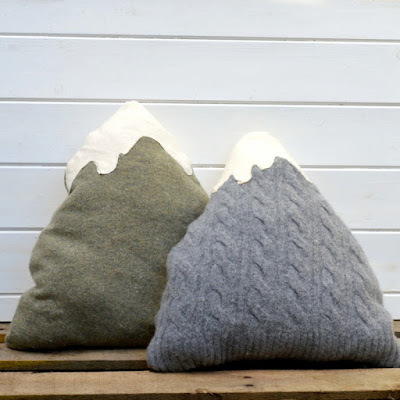 Oh my I'm so thrilled to be included in this fab round up! Thank you and Merry Merry!